Saturday marked the first show of the second season of the dA Concert Series. A million thanks to everyone who made Saturday possible including our wonderful audience and volunteers! Additionally, we would like to thank Emperor X, Halloween Swim Team, Voice on Tape, Stay Cool Forever, and Tall Tales and the Silver Lining for their amazing performances. Lastly, thank you Adrian Avila and Derrick Taruc of cine maza / not waiting for an invite (Facebook & Blog) for capturing the evening’s performances (See videos below). 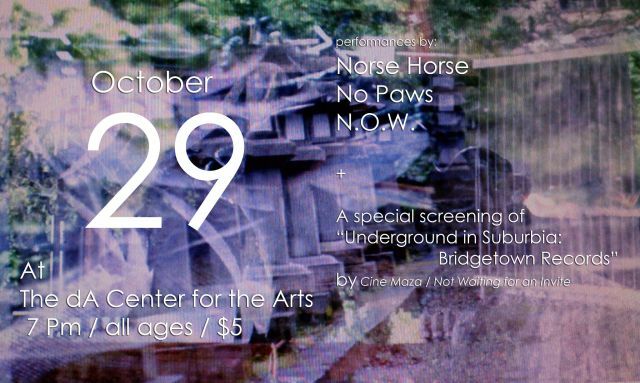 + A special screening of “Underground in Suburbia: Bridgetown Records” by Cine Maza / Not Waiting for an Invite, 2011, digital, 10 min. “Underground in Suburbia” is a brief look into the history and psyche of Bridgetown Records, a tiny, independent label based out of La Puente, California, one of the many suburbs of Los Angeles. 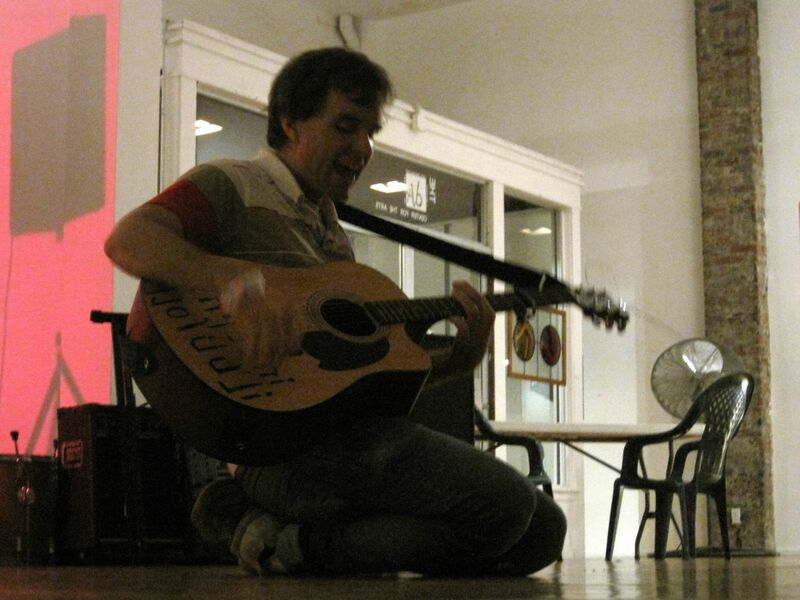 Within three years, Bridgetown Records has put out more than 60 releases by artist such as Jon Barba, No Paws (No Lions), Ancient Crux, Cloud Nothings, Vehicle Blues, Nima, Sea Oleena and more. Posted in dA Concert SeriesBookmark the permalink.